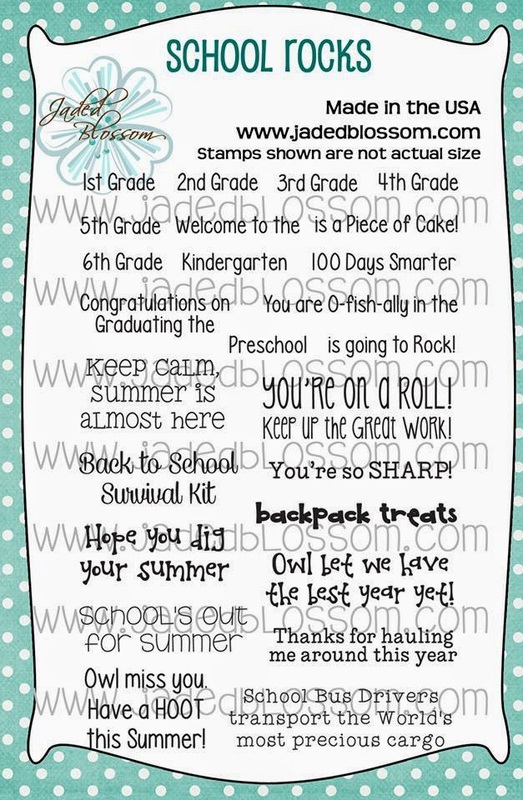 We have 1 Stamp Set to Showcase today! This CUTE sun is from SVG Cutting Files!! Here is a close up. I also used Peachy Keen's In The Garden faces for the Sun. 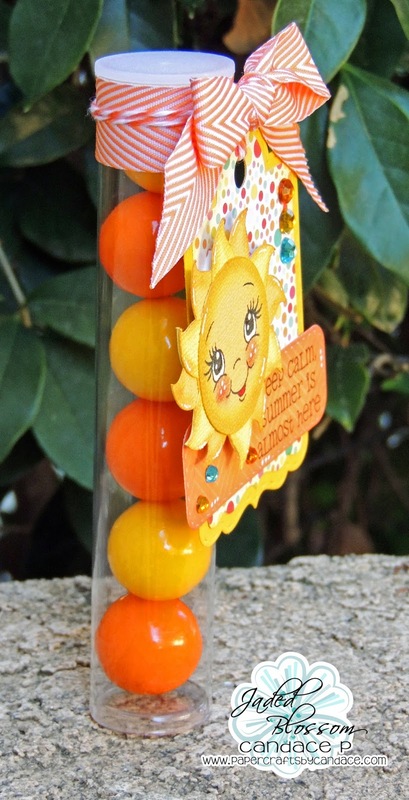 The tube is filled with orange and yellow gumballs! Fun summer treat! This is SOOO super cute! 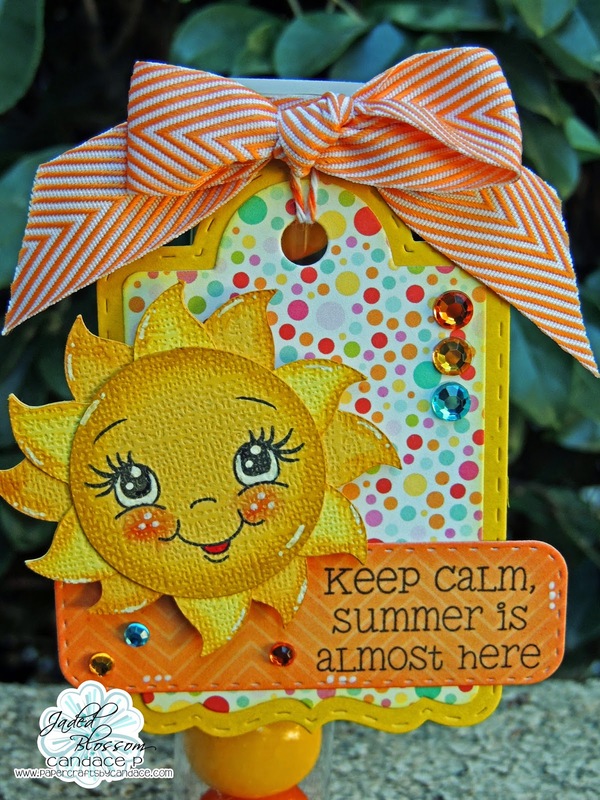 That PK face on the sun just makes me smile and the colors are so cheerful! 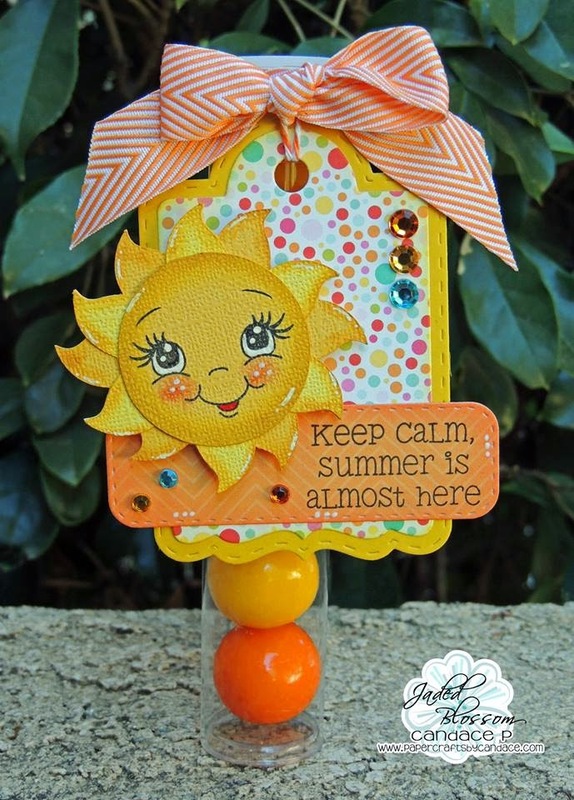 love the bright colors and the cute pk face stamp on the sun ! Love the bow and the colors!